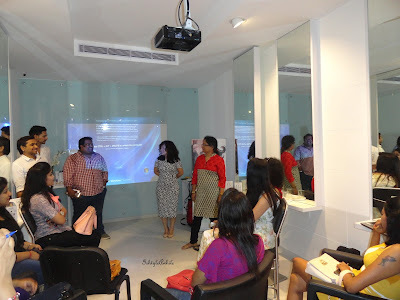 IshtyleAwhile - A Chennai based Indian Fashion Blog - Blogadda event with Bangalore Bloggers: Launch of Nioxin in India. She slowly opened her eyes to see the sunlight trickle in from a small crack between the curtains. It was time to get up. Something felt different though. 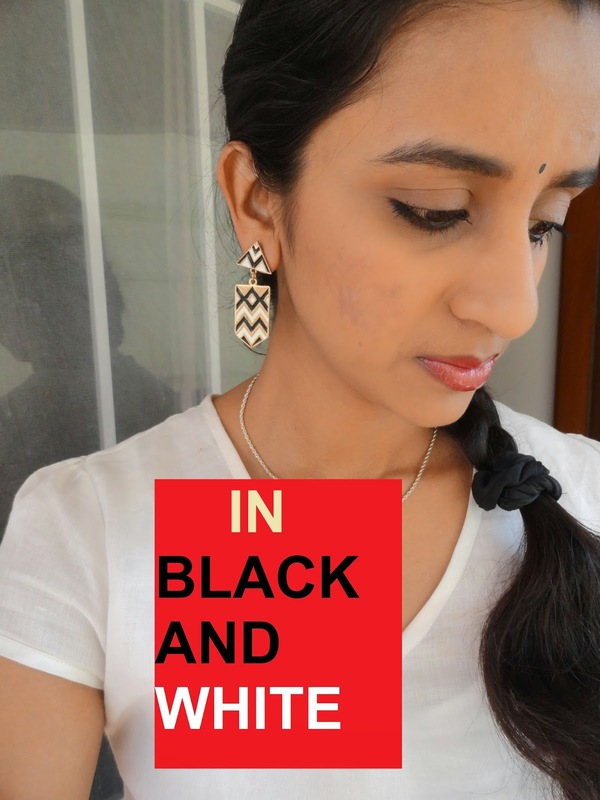 Rubbing her eyes she walked towards the bathroom, but even before she reached there she knew that something was different.She switched on the light and peeked into the mirror with half an eye open. *gasp* All she could see was shiny scalp. Where was all her hair? That, my dears, is my worst nightmare. Maybe I am narcissistic but my hair definitely makes me feel more beautiful. I have a lot of good hair days and even more bad hair days. I am always looking at ways to improve the quality and of course quantity of my hair. 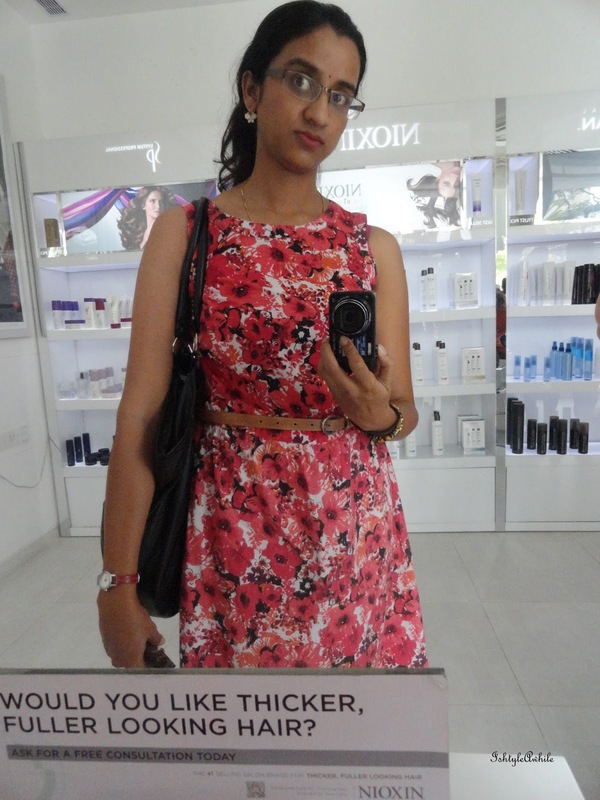 Saturday dawned and I reached Bodycraft Salon and Spa, Koramangala at noon. There were a few bloggers there before me and we had our round of introductions. 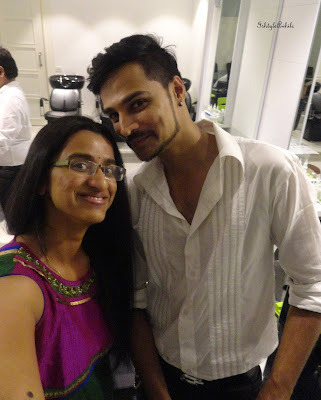 I already kind of knew Aparajita from ElegantEves because we've talked over Facebook. 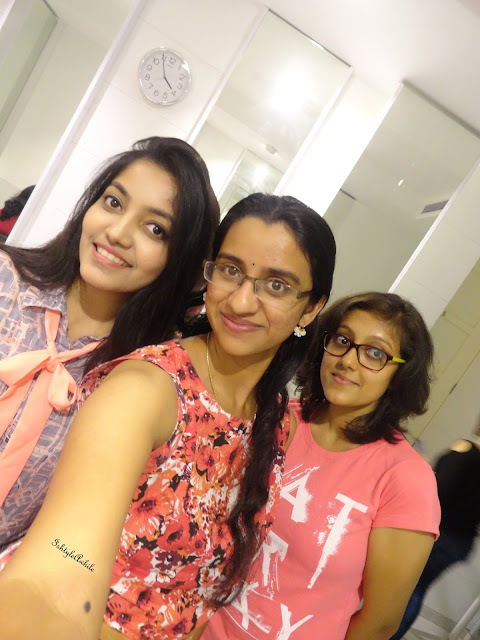 I've also been in continuous conversation with Princy from The Jeromy Diaries and Priyanjana from Moonshine and Sunlight for a while now, so I was really excited to like finally meet them. 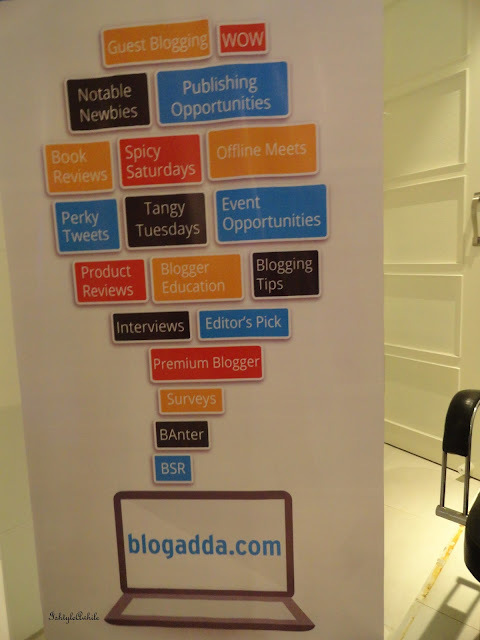 Harish and Ankit from Blogadda were there to make sure that the whole event went along smoothly and it was such a joy to meet them. The session started with us getting a small tour of the salon while we waited for the other bloggers to turn up. 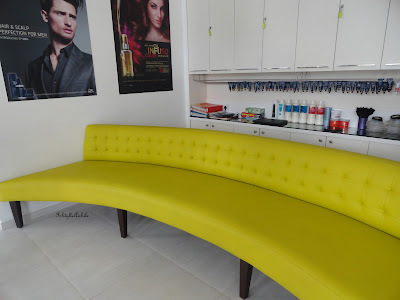 We got to see an array of hair colours (The Colour Station), a special area where you can get a consultation done and then the treatment that your hair requires, and of course the range of products that BodyCraft Salon and Spa offers. The session started with Daisy explaining how the Nioxin was conceptualized by a home maker, Eva Graham, when she noticed thinning of her hair post pregnancy. It is a brand that quite literally started from home. 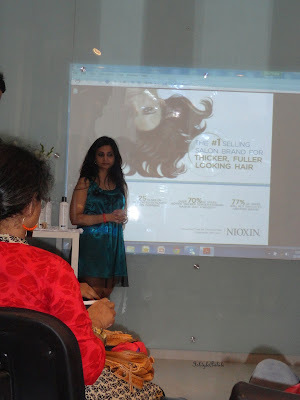 We also discussed the most common reasons for thinning of hair. According to Nioxin 'Thinning of Hair = A poor scalp + fewer hair strands + finer hair strands'. They focus on the scalp and making it clean and healthy. If you have a healthy scalp automatically you will have thicker and healthier looking hair. 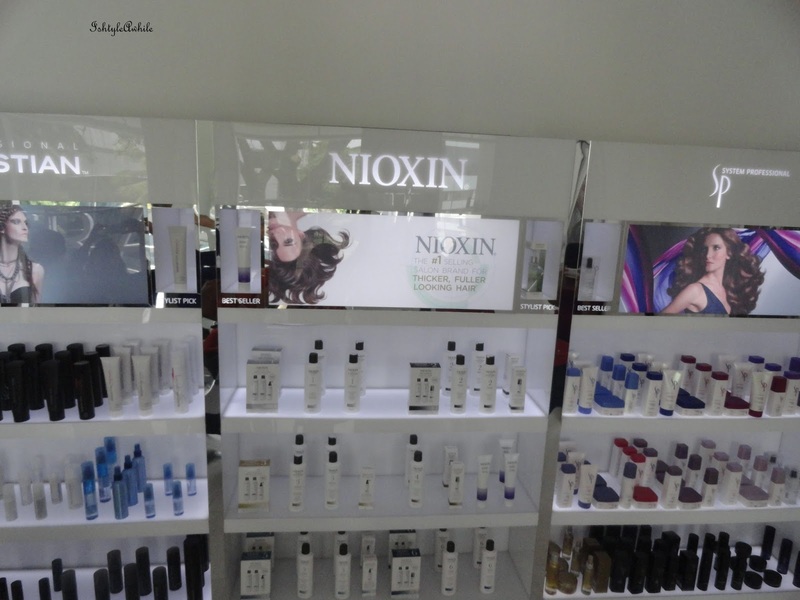 Nioxin is not an 'over the counter brand'. It is meant to be used only after consultation in a salon. The brand focuses only on the problem of thinning of hair. I like the fact that they don't claim to make hair grow. However they provide a very logical reason behind why they treat hair the way they do. 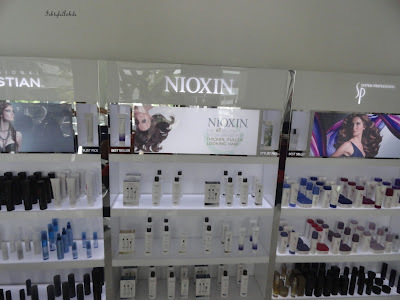 What is the Nioxin treatment all about? 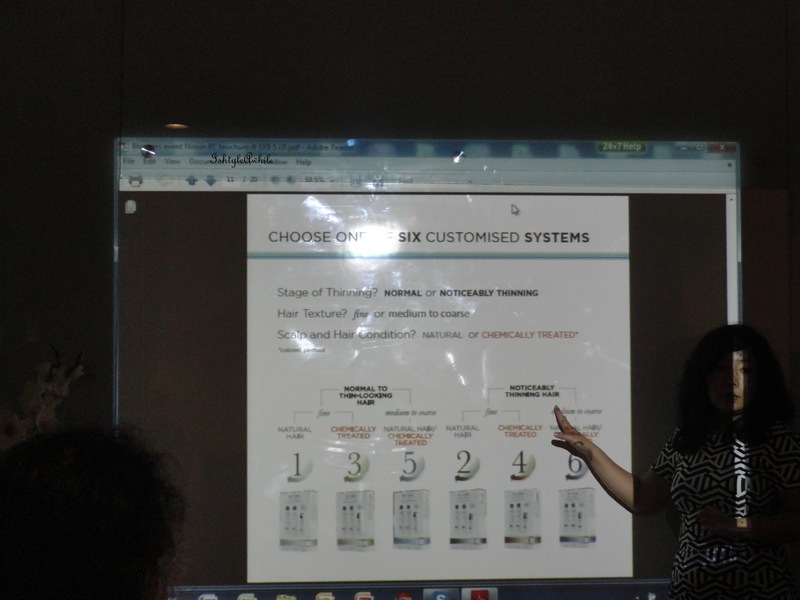 The Nioxin system of treatment is a 3 part system. 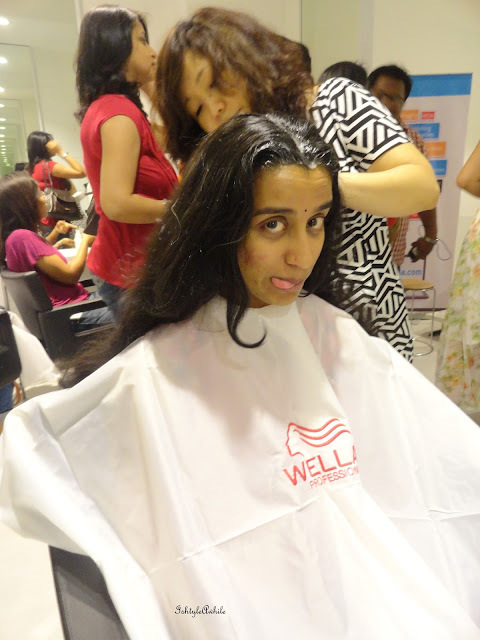 Think of it like a CTM for the scalp (Cleansing, Toning and Moisturiser). I loved the idea of CTM for my scalp!! I mean the scalp is pretty much like the skin on your face, right? 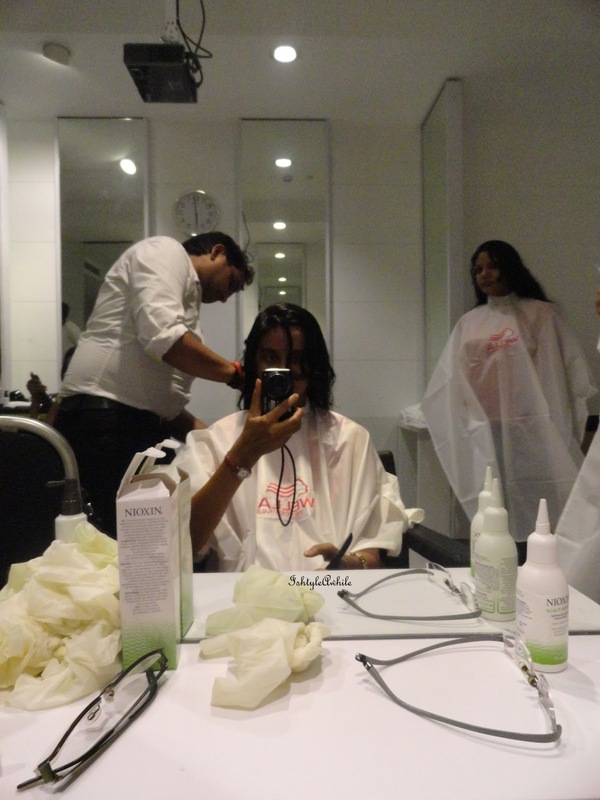 Depending on your hair type, the environmental conditions and whether you have chemically treated your hair, there are a total of 6 systems that can be recommended.This bascially means that every customer has a fairly customised treatment given for them. There are some specific intensive products available in case your hair and scalp need that something extra. After the presentation we had something to eat and got an individual consultation. 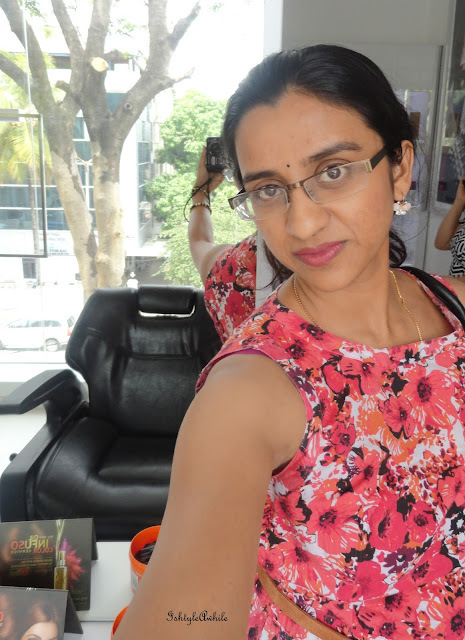 For some people a full thorough scalp analysis was done, for others we were just asked some questions to determine the best way of dealing with our hair. 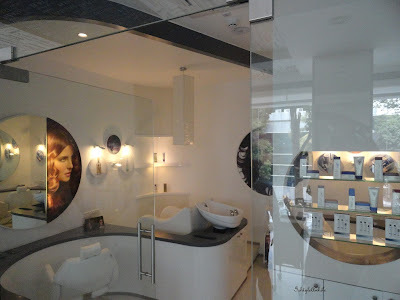 The highlight of the treatment was the Scalp facial. Doesn't that totally give you a mental image of something be rubbed onto your scalp to remove the dead cells? Well no need to worry. It is a simple in-salon treatment which involves a nice head massage and the application of Derma Renew. This uses the technique of dermabrasion to remove dead cells and thoroughly cleanse your scalp. This product, Derma Renew, is not sold and it is ONLY an in salon treatment. Ideally it should be kept on your scalp for 30 minutes but due to lack of time all of us kept it only for 10 minutes before washing it off with the Cleanser. The only problem that we faced with the event was that it got so delayed!! I mean it started late and then there were only three people to do the treatment for 12 of us bloggers. 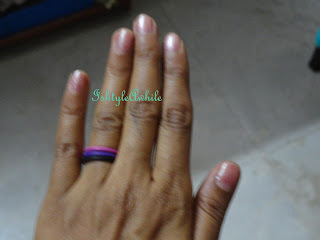 I was one of the last few people to get it done and it was past 6.30pm by the time I was done. Ideally one should get the dermabrasion technique done once in 45 days to keep the scalp super healthy. 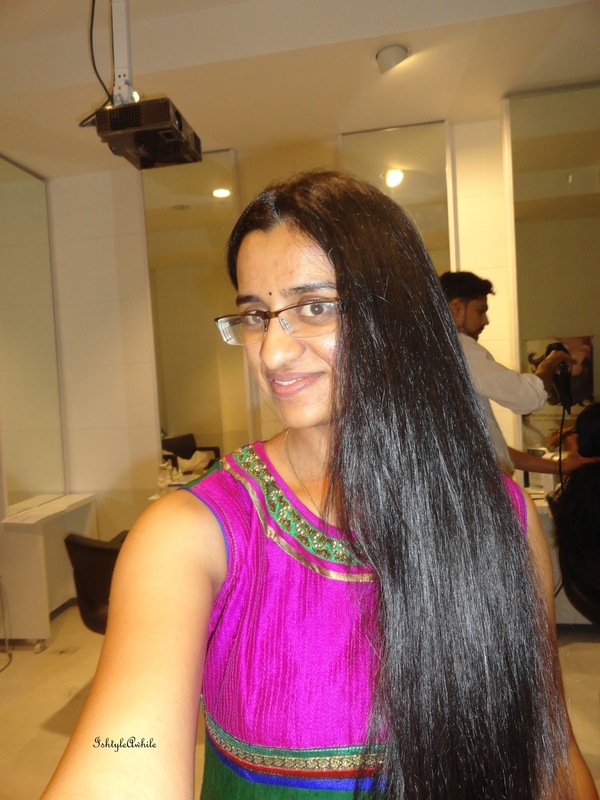 This whole treatment starts at a price of 3500INR and depends on the length of your hair and the type of hair. 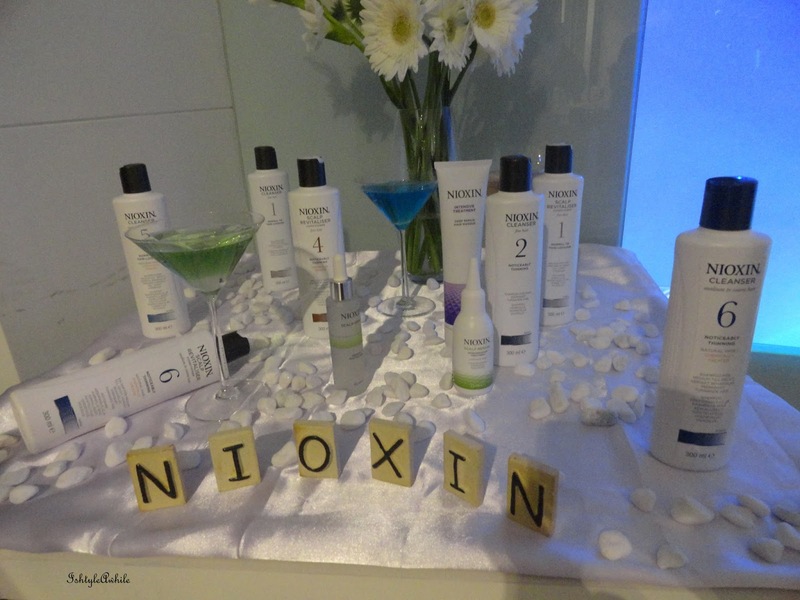 Nioxin is available only in select salons. You can try and experience #NioxinNowIndia at your nearest salon. Quick thoughts on this treatment. It felt so cooling. I think menthol could be one of the ingredients. 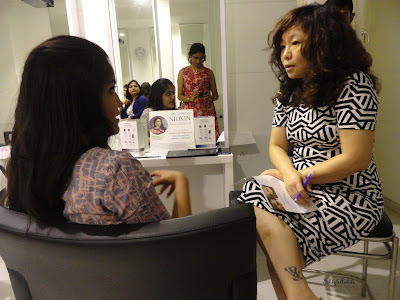 My hair was light and bouncy and shiny and soft and just simply GORGEOUS. I have been given system 5 to test and review for you guys. I have already started using it. I will have a detailed review up in a month. All in all I am really happy to have gotten the opportunity to attend this event and my hair thanks you too Blogadda.